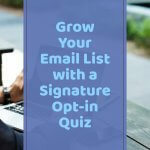 One of the best things I’ve done to grow my email list has been to set up opt-in quizzes! You’ve probably seen them around, giving you a chance to get to know yourself better, test your trivia chops, find out which Disney princess you would be, or any myriad of other things. I recently tested out two quiz builder tools – Thrive Quiz Builder and Interact – and now I’m giving you the inside scoop. 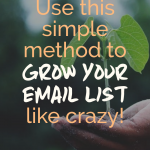 I’ll review both quiz builders AND give you the tips and tricks you need to build your own signature opt-in quiz and grow your email list. Booyah! Creating your signature quiz isn’t dependent on a particular quiz builder, so we’re going to start there. 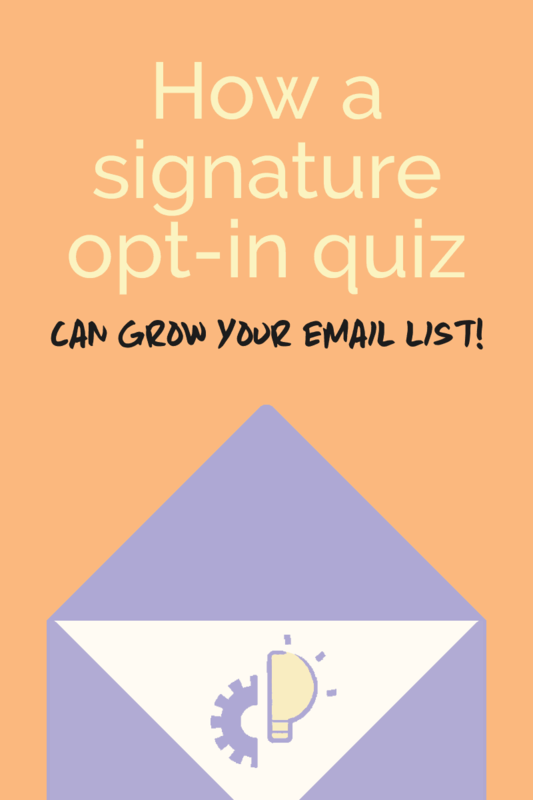 The idea behind a signature quiz is to engage your target audience and get more of your ideal clients on your email list. 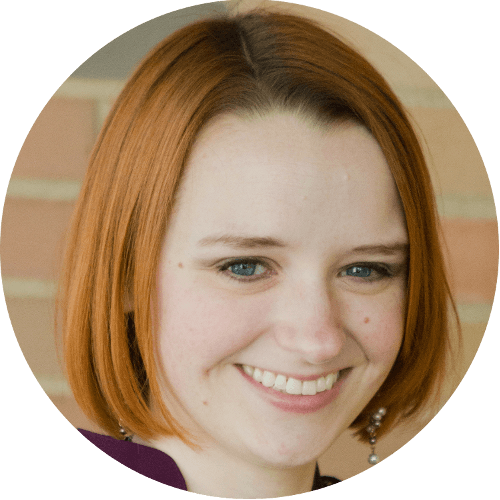 Maggie Giele specifically requested a tutorial on this subject and Yvonne over at Ask Yvi asked for some tips on creating a signature quiz, so this one’s for you, Maggie and Yvi! 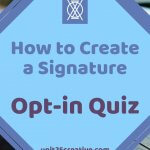 When creating my own opt-in quiz, I decided that I wanted it to be a screening process for potential clients. (Yes, I am being 100% transparent here!) I want to work with creative entrepreneurs and small business owners who are genuinely ready to grow their business, not those who say they’re ready to grow their business but won’t put in the elbow grease to get things going. That decision informs the rest of the quiz building process. For example, if I had decided that I wanted my quiz to simply provide extra information about my area of expertise, that would yield a quiz with a very different feel. Rather than asking specific questions about business growth, I could have made a quiz that helped you determine what type of entrepreneur you are. While that could still be helpful (and I may do that in the future), my biggest need is to find out if the quiz taker is a good fit for me and my team’s services. If they’re not there yet, no problem – I can still serve them by giving them resources to help them get ready to grow their business. 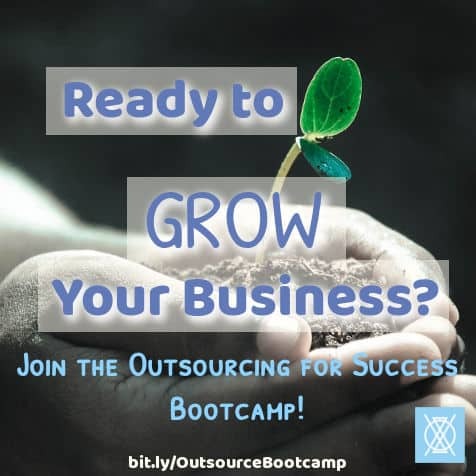 If the quiz shows that they ARE prepared to grow, though, then that will let us jump right in and provide the resources and services they need to achieve the growth they want. Win-win! Think about what you want your quiz to achieve and write it down before moving on to the next step. This may sound backward at first glance, but I promise it’s not. Knowing what results you want the quiz taker to achieve BEFORE you build the quiz will impact what questions you ask them. For example, in the first quiz I created, I wanted the quiz taker to be able to figure out if Dubsado or 17hats was a better fit for them in terms of CRM systems. Knowing those two possible results, I was able to reverse engineer the quiz to guide them to the result that would fit them best. For my signature opt-in quiz, I’m trying to help the quiz taker determine where they may be falling short in their business growth preparedness. For example, if someone doesn’t have their systems in place (CRM, email marketing, etc. ), they won’t be in a good place to handle growth when it comes and will just end up overwhelmed. These are the kinds of things my potential clients often don’t think about when they say they’re ready to grow their business! It’s my job to screen for this type of thing and if they take this quiz before inquiring about me and my team’s services, I’ll have a better idea of how to serve them and get them ready for growth. Figure out what possible results your quiz takers should be able to achieve (usually either an assessment, personality, or scored result – we’ll talk about these options in just a second!) so that you can reverse engineer your opt-in quiz. Assessment: This is a knowledge-based quiz. This could be good if you want to assess how much someone knows about your field (this could be helpful in determining how you approach them, based on their knowledge level). For example, a graphic designer could test someone’s knowledge of design jargon and segment the quiz takers into their email list based on their results: Beginner, Intermediate, or Advanced. In this example, a beginner has probably never worked with a graphic designer before and will need more hand-holding; an intermediate client may have worked with other designers in the past and knows enough to be dangerous but not enough to communicate their needs clearly 100% of the time; an advanced client has probably worked with graphic designers before or has their own background in design in some way but wants to outsource and will know the jargon better. Personality: This sorts the quiz taker into a single category. If you want your opt-in quiz to yield a single result, this is the type of quiz you need. For example, I use this quiz type in my Dubsado vs. other CRM quizzes. It allows me to assign each answer to one of the possible results and the quiz automatically tallies which result the quiz taker selected most often and shows them that result. This could also be helpful if you work with particular types of clients (e.g. quiet vs over-the-top, creative vs. technical) and you want to be able to screen and segment based on these results. Now that you’ve paired your desired quiz results with the best quiz type, you’re ready to move onto the fun part! This is my favorite part: writing the actual quiz questions! Since you’ve already determined the purpose of your quiz, that will impact what questions you ask. There’s a balance to strike between making the quiz robust enough to give the right results without making it TOO long. There isn’t necessarily a ‘best length,’ though, so you may have to experiment with it. When you finish creating your quiz, try taking it yourself (approaching it as if you have never seen it) and see how long it takes you. If it’s more than a minute or two, it’s probably too long. Try getting some feedback from others, too. You may find that some questions that you thought were very straightforward are actually clear as mud to others and this feedback will allow you to tweak your opt-in quiz before it goes live on your website. 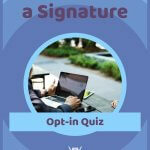 5 | Create your opt-in quiz! Once you have your quiz questions written, it’s time to create your actual quiz! I’ve created a walkthrough video for both Interact and Thrive Quiz Builder so you can see the exact process of creating a quiz. After the videos, I’ll also share an overview of each quiz builder and compare them so you can figure out which one will work best for YOU. When a service is worth paying for, though, like Interact is, it can be worth recurring fees! Personally, I’ve decided to use each quiz builder for different purposes. I love the flexibility of Interact’s presentation options and the ability to use Facebook pixels and Google Analytics, but I want the customization of Thrive’s quizzes. So how am I balancing them? 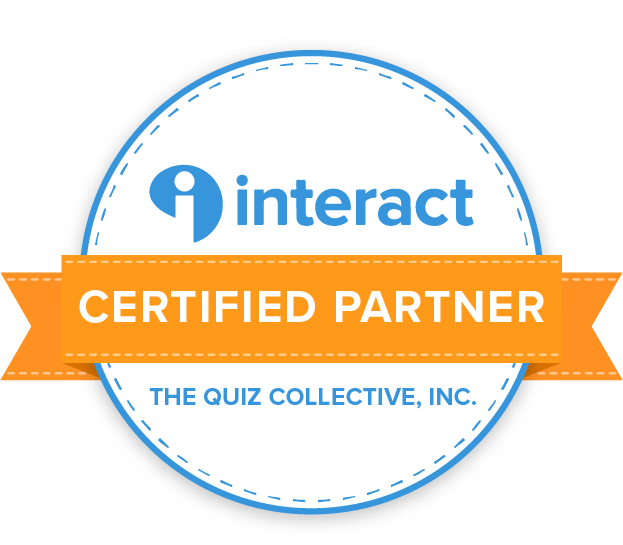 I’ll be using Interact for my signature quiz (creating a pop-up and announcement bar on my website), as well as on social media, probably. I’ll be using Thrive for quizzes that need to look prettier, have tagging/segmenting, or that I want to use A/B testing on. I may do a more in-depth post at some point about how exactly I use each service, so if that’s something you want to read, let me know in the comments! What kind of opt-in quizzes could you create to build YOUR email list? Share your thoughts or questions in the comments!